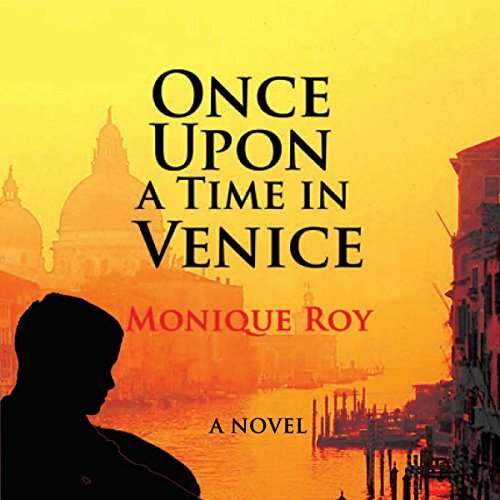 An intriguing, middle-grade audiobook that takes young listeners, ages 9-12, on a physical and emotional journey to Venice, Italy. This enchanting story revolves around the relationship between Samuelle, a young boy, and his grandfather Leo. Leo has learned that he suffers from a terminal illness, and in his wistful skimming of artifacts from the past, he uncovers treasured mementos of his earliest years, growing up in the romantic city of Venice. Sharing them with Samuelle, he infects the boy with an infatuation for the city, one they will both share when Leo decides to accept an invitation to participate in the annual Regatta, a rowing festival that his own great-grandfather had competed in with great success. The two embark on their journey without Samuelle knowing about Leo's illness, but Leo makes a promise to himself that it is in Venice, after he has passed on his knowledge and fondness for the city to his grandson, that he will reveal the truth about his fate. Venice becomes a special place in their hearts forever. An emotionally moving tale about a grandfather and his young grandson's journey into the past and family relationships. The characters were very well written, and the plot though slow was very interesting. The story stressed the importance and value of family relationships, and a strong bond between people which would provide comfort in the time of tragedy. Beautiful, sad, but leaving a reader with hope. This story, was short (about an hour and half), but had such a touching and impactful message. Samuel, who is being cared for by his grandfather, Leo, after his parents were killed in a car accident, travels with him to Venice so he can find out more about his family history and roots. Also, Leo is diagnosed with cancer and hasn't the heart to share this news with his grandson as he is still coming to terms with it himself, however, Samuel overhears grandpa Leo discussing his illness with a family member and it breaks his heart and runs off to the Jewish Ghetto. Such a warm and inviting story to listen to. While this is a short tale, Monique Roy packs quite a lot into it. Grandpa Leo and his grandson Samuelle take a vacation in Venice, a city Leo knows well. Samuelle’s parents are gone and Leo wants him to get to know his Venetian relatives. The city of Venice really shines in this story. I really enjoyed this enchanting tale of a grandfather's remembrance of his past and sharing it with his young grandson. It's a lovely story that takes the reader along with them as they journey to Venice, Italy, and the grandfather shares the family history with his grandson. I felt like I was there with them. The writing is beautiful and the descriptions vivid and memorable. I listened to the audio version and narrator, Kevin E. Green, did such a fantastic job of bringing this story to life. I'm not sure I would have enjoyed it as much if I'd been reading it myself. My only complaint is that is is so short. I would have enjoyed a little bit longer of a story, but the author did a fine job and it is a beautiful story. One of the shortest stories I listed to but interesting and heartfelt, it takes us into the lives of a grandfather and his grandson as they connect in the last few years together. As Leo takes Samuelle to his birthplace and shows him part of his heritage, the story is Informative in history as well as a tourist facts about Venice making it more interesting for those who never seen this wonderful city. Loved the life lessons Leo imparts to his grandson and their close bond. I enjoyed it, despite feeling it was rushed towards the end and the sad ending. Wonderfully narrated by Mr. Green, the voices he gave the various characters were well chosen, the accents well defined and the emotions well displayed. My fave was Leo's voice. I will be checking out his other audios. I received a free copy at my request and this review is voluntary. Samuelle has been living with his grandfather since his parents were tragically killed in a car crash a number of years ago. The two of them have a good relationship, but Grandfather Leo suspects his health is failing and he wants to show Samuelle his homeland before it’s too late. Immigrants have been coming to America from the time it was a colony and Leo is no exception, escaping from Italy when he was a young man. By taking Samuelle home, Leo is nabbing an opportunity to go home and reconnect with family and more. At first blush, this might just be a tour of Venice provided by one generation to another, but it’s also about a young boy discovering family he knew nothing about. Family he may be reliant on very soon. The love Leo feels for Samuelle is heartbreaking, but there are good things that come out of their visit. The truth is laid bare between the two. Books written in omniscient third person often lack the deeper connection with the characters, but Monique Roy provides just enough insight into each character to draw the listener in. The length is perfect for the young audience it is intended for. Kevin E. Green does a good job with the narration. His deep voice works for Leo and I quickly got used to the voice he used for Samuelle. I enjoyed the book and would recommend it. This was a really emotionally charged audio book. The mix of Monique Roy's words and Kevin E Green's narration really brought this story to life for me. I know reading this you would still understand the emotion but I feel like I connected more deeply with the characters through the audio book. Green does a fantastic job at making every character unique, either through accent or age, they are all different. You really get a feel for Italy, not only as someone returning, or visiting for the first time, but from those who have spent their whole lives there and see the progression of the city. Italy has always fascinated me with it's history and architecture, and Once upon a Time in Venice explores the city as well as the bond between family. Journey to Venice with a young boy and his grandpa. See the sights, hear the sounds, learn the history and geography of a great city. This is a well written, excellently narrated tale written with the young listener in mind. Even as an adult I found it enjoyable.